Critically acclaimed Comedy Central series from executive producer Amy Poehler! Includes all 10 episodes from Season 2 , uncensored with an hour long bonus feature. Season Two Guest Stars Include Bob Balaban ("Girls"), Aidy Bryant ("Saturday Night Live"), Patricia Clarkson, Susie Essman ("Curb Your Enthusiasm"), Janeane Garofalo, Kumail Nanjiani ("Portlandia"), Kelly Ripa ("Live With Kelly and Michael"), Seth Rogen, Amy Ryan ("The Office"), Alia Shawkat ("Arrested Development") and David Wain ("Wet Hot American Summer"). 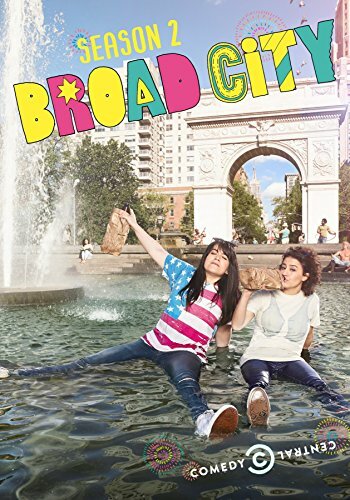 Nominated for "Best Comedy Series" from the Broadcast Television Journalists Association and Logo's "New Now Next Awards"
Broad City social media (Twitter, Instagram, and Facebook) draws an audience of over 740K followers. Abbi and Ilana have a social media following of over 400K each across Twitter and Instagram.